Based in Texas, Flowserve, an industrial and service-providing corporation is going to establish a new R&D centre in Budapest following its BSC in Debrecen, building on the skills of Hungarian engineers. Investing almost EUR 10.3 million, the corporation is going to establish an engineering centre which is going to provide for product development, product testing and engineering service functions in the future. Established in 1997, Flowserve designs and produces systems of industrial pumping, industrial fittings, control valves, nuclear valves, and precision mechanical sealings and provides various related management services targeting mainly the processing industry. Based in Texas, the corporation employs 17,000 persons in 55 countries of the world, with a clientele using the products and services offered by Flowserve representing more than 70 countries. The corporation opened its business service centre (BSC) in Debrecen in 2016 to provide financial and accounting services for 25 countries of the North American and EMEA (Europe, Middle-East and Africa) region in 7 languages. 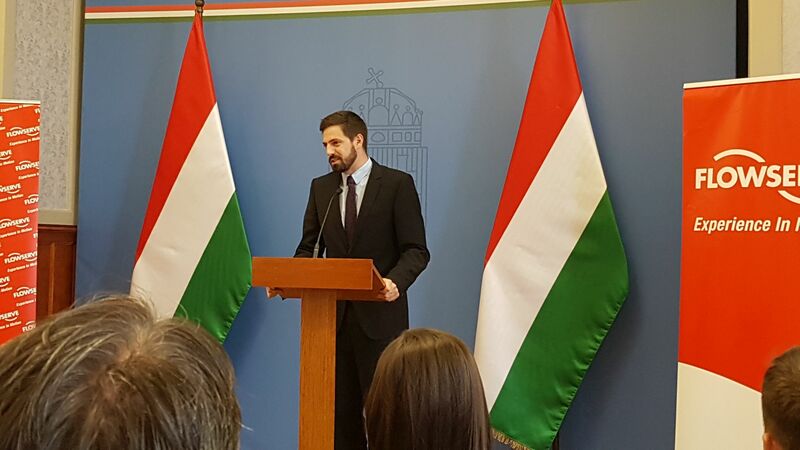 The new Budapest centre is going to serve as a key resource in researching and developing innovative product solutions, by applying cutting edge technologies. The unit starts operating with 12 engineers and expects to employ 25 persons by the end of the year. Their aim is to employ 150 engineers due to the continuous expanding of staff numbers in the forthcoming years. This team will focus on incorporating leading edge technologies in fluid dynamics, tribology, rotodynamics and mechatronics into our products while applying best practices for manufacturability and assembly. Flowserve was looking for a site in Europe. Budapest was supported by the investor-friendly business environment, its logistics background, the skills and language proficiency of the labour force, its talented engineers and the world-class Budapest University of Technology and Economics. 2017 data of HIPA show that the United States of America remains the key partner of Hungary outside Europe both with regard to the number of projects and the number of jobs created.